There once was a note, listen… | EM, etc. Three years ago I ditched my laptop and committed to the iPad full time. It wasn’t initially planned that way: My trusty 2006 MacBook was kept charged and ready just in case. But it went unused for days, then weeks, then months and went from being trusty to dusty. The iPad is less of a novelty in 2014 as it still was in 2011, but there’s still a gap in perception when it comes to the iPad as a productivity machine – as opposed to a gaming and media-consumption machine. The Apple website and ads kept pushing the productivity angle. Meanwhile, in real world use, I kept being reminded that the iPad didn’t have Microsoft Office. I would point out that this hadn’t caused a problem once in three years. If I was still being listened to, I would show Apple’s iWork apps importing and exporting Microsoft Office files. Then earlier this year, Microsoft finally released Office for iPad. It seemed to work well, but as I had weaned myself away from Office years previously (I started using Apple Keynote in 2003), I wasn’t really sure what Office should do or be these days. 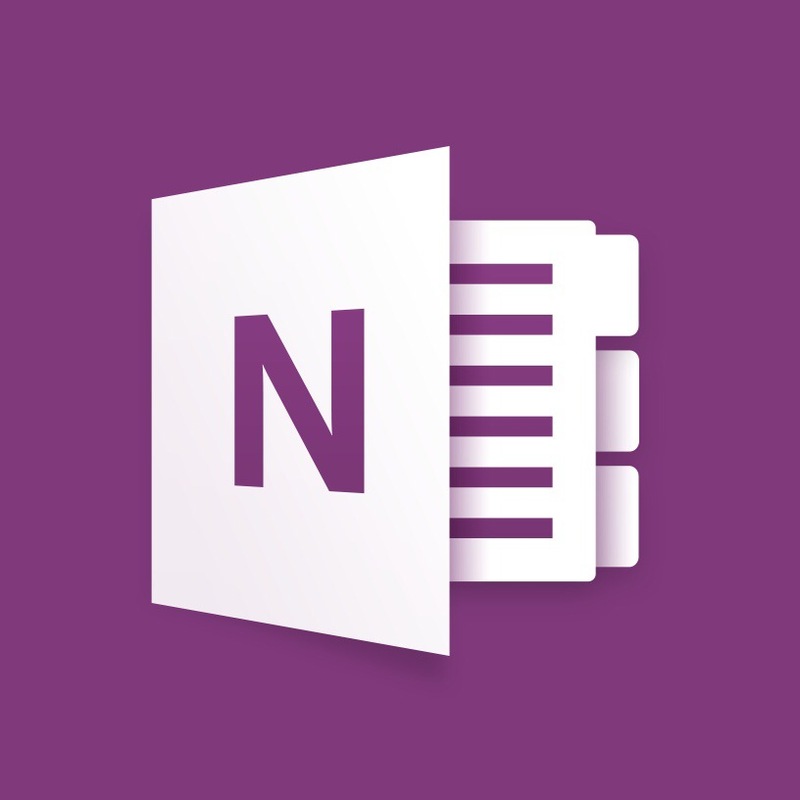 However, way back in 2011, before Word, Powerpoint and Excel came to the iPad, Microsoft released an iOS version of its OneNote note-taking programme. As a reflection of the Apple-centric universe I live in, even though OneNote has been around since 2003, I only became aware of it at the end of last year. Throughout this time, I had repeatedly come up against what is the main limitation of working on the iPad: document and file management. On a desktop/laptop you can create a little folder or a shortcut for all your documents relating to a particular exercise. On the iPad, I found that I would take some notes at a meeting using Pages (or worse still, the Notes app), they would be forgotten about before becoming lost forever. There’s no intuitive way of collecting your documents in Pages and the subfolder system is unsatisfactory. There is no satisfactory way to collate, tag and use the documents over time. I was searching for a solution, and there are many. Evernote has the advantage of collating necessary PDFs and documents alongside your notes. Notability allows you to input by drawing directly from a stylus or finger as well as record audio notes. Microsoft OneNote doesn’t allow you to do any of that (not in the iOS version anyway) but it does have a nice intuitive organisational structure for collating typed notes. You can create an overall notebook for a subject, and each notebook has tabbed headings which can collate your notes. For instance, here I am working in a Microsystems notebook, under the tab where I collate my meeting notes, which are organised by date. OneNote also makes it easy to incorporate photographs, and in a killer feature, it will auto-correct the aspect and contrast of any white boards or slides you might want to incorporate into the notes. Entries can be easily emailed as a PDF, and if you’re so inclined, a collaborative document can be set up if more than one person wishes to contribute. Plus the whole thing syncs between iPad, iPhone and desktop versions of the program. Microsoft OneNote for iPad doesn’t do everything, but what it does do, it does well. And overall Microsoft deserve a lot of praise for creating an UI that fuses the ease of use of the iOS touch interface with the identity of Microsoft Office. 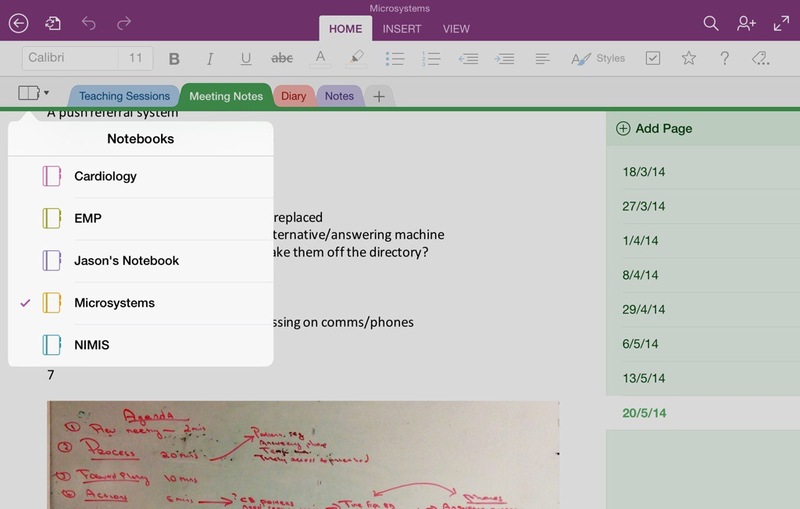 If your iPad is full of unorganised typed notes which are getting lost between meetings, OneNote can set you free. ← Why must we wait so long, before we see?